Isopropyl alcohol is miscible in water, alcohol,ether, and chloroform. It will dissolve ethylcellulose, polyvinyl butyral, many oils, alkaloids, gumsand natural resins. It is insoluble in salt solutions. Unlike ethanolor methanol,isopropyl alcohol can be separated from aqueoussolutions by adding a salt such as sodiumchloride, sodium sulfate, or any of several otherinorganic salts, since the alcohol is much less soluble in saline solutionsthan in salt-free water. The process is colloquially called salting out,and causes concentrated isopropyl alcohol to separate into a distinct layer. Isopropyl alcohol forms an azeotrope with water, which gives a boiling point of 80.37 °C(176.67 °F) and a composition of 87.7 wt% (91 vol%) isopropyl alcohol.Water-isopropyl alcohol mixtures have depressed melting points. It has aslightly bitter taste, and is not safe to drink. Isopropyl alcohol becomes increasingly viscous with decreasing temperature.At temperatures below −70 °C (−94 °F), isopropyl alcohol resembles maple syrup in viscosity. Isopropyl alcohol has a maximum absorbanceat 205 nm in an ultraviolet-visiblespectrum. Isopropyl alcohol is often used as both solvent and hydridesource in the Meerwein-Ponndorf-Verley reductionand other transfer hydrogenation reactions.Isopropyl alcohol may be converted to 2-bromopropaneusing phosphorus tribromide, or dehydrated to propeneby heating with sulfuric acid. Like most alcohols, isopropyl alcohol reacts with active metals such as potassiumto form alkoxidesthat can be called isopropoxides. The reaction with aluminium(initiated by a trace of mercury)is used to prepare the catalyst aluminium isopropoxide. In 1994, 1.5 million tonnes of isopropyl alcohol was produced in the UnitedStates, Europe, and Japan. This compound is primarily produced by combiningwater and propenein a hydration reaction. 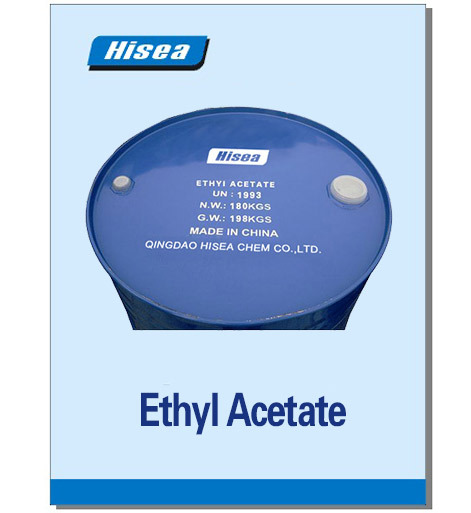 It is also produced byhydrogenating acetone. There are two routes for the hydration process: indirect hydration using the sulfuric acid process, anddirect hydration. The former process, which can use low-quality propene,predominates in the USA while the latter process, which requires high-puritypropene, is more commonly used in Europe. These processes give predominantlyisopropyl alcohol rather than 1-propanol because the addition of water or sulfuric acidto propene follows Markovnikov's rule. The indirect process reacts propene with sulfuric acid to form a mixture ofsulfate esters. Subsequent hydrolysis of these esters by steam produces isopropylalcohol, which is distilled. Diisopropylether is a significant by-product of this process; it is recycledback to the process and hydrolyzed to give the desired product. Direct hydration reacts propene and water, either in gas phase or in liquidphase, at high pressures in the presence of solid or supported acidic catalysts.Higher-purity propylene (> 90%) tends to be required for this type ofprocess. Both processes require that the isopropyl alcohol be separated from waterand other by-products by distillation. Isopropyl alcohol and water forman azeotropeand simple distillation gives a material that is 87.9% by weight isopropylalcohol and 12.1% by weight water. Pure (anhydrous)isopropyl alcohol is made by azeotropic distillation of the wetisopropyl alcohol using either diisopropylether or cyclohexane as azeotroping agents. Crude acetone is hydrogenated in the liquid phase over Raney nickelor a mixture of copper and chromium oxide to give isopropyl alcohol. Thisprocess is useful when coupled with excess acetone production, such as the cumeneprocess. Isopropyl alcohol vapor is denser than air and is flammable,with a flammability range of between 2 and 12.7% inair. It should be kept away from heat and open flame Isopropyl alcohol has beenreported to form peroxides which may explode upon concentration.Isopropyl alcohol is a skin irritant. Isopropyl alcohol and its metabolite, acetone, act as central nervous system (CNS) depressants.Symptomsof isopropyl alcohol poisoning include flushing, headache,dizziness,CNS depression, nausea,vomiting,anesthesia,hypothermia,hypotension,shock, respiratorydepression, and coma. Poisoning can occur from ingestion, inhalation, or skinabsorption; therefore, well-ventilated areas and protective gloves arerecommended. Around 15 g of isopropyl alcohol can have a toxic effect on a 70 kg humanif left untreated. However, it is not nearly as toxic as methanol or ethyleneglycol. Isopropyl alcohol does not cause an anion gap acidosis (in which a lowered bloodserum pH causes depletion of bicarbonate anion) unlike ethanoland methanol.Isopropyl alcohol does, however, produce an osmolal gapbetween the calculated and measured osmolalities of serum, as do the otheralcohols. Overdoses may cause a fruity odor on the breath as a result of itsmetabolism to acetone,which is further metabolized to produce the nutrients acetateand glucose. Isopropyl alcohol is denatured for certain uses, in which case theNFPA 704 rating is changed to 2,3,1.